The SkimLoop Oil Water Separator (OWS) sets the industry standard for skimming and separating floating oils and solids from industrial fluids. 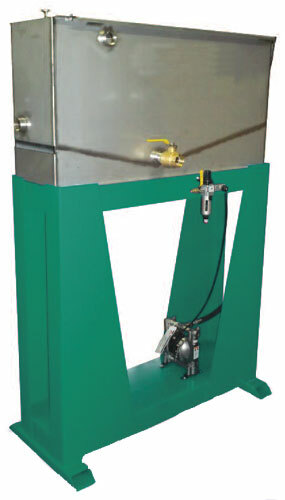 It is designed as a simple, trouble-free solution for removing free floating and mechanically dispersed tramp oils from wash tanks, individual machine coolant sumps, central coolant systems, and many other manufacturing process fluids. Based on gravity flow and coalescence, the SkimLoop OWS can reduce tramp oils to less than 1% in a single pass. 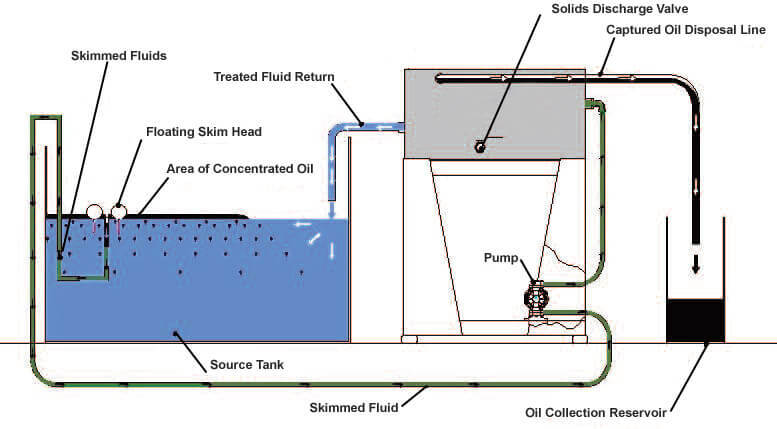 The SkimLoop “non-clogging” design allows for the separation of oils and sludge in two steps: First, skimming the oil at the Source Tank, followed by further separation at the OWS tank. The free oil is then collected in one Oil Collection Reservoir and water is returned back into the original Source Tank. Subject to oil loading levels, this proprietary Loop design enables a small 10gpm SkimLoop to treat upward of 100gpm or more of influent wastewater or coolant and a 20gpm unit can treat upward of 200gpm or more of influent wastewater or coolant. Applications include water soluble, semi-synthetic & synthetic coolants from machining and grinding, rolling and drawing coolants, alkaline and acidic wash waters, stamping fluids, wastewater pre-treatment, aqueous quench pits, die casting mold release fluids, and any application where separation of two immiscible fluids is required. Our multi-patented SkimLoop Suction skimmer is mounted in your tank solids and continuously removes the topmost oily layer. 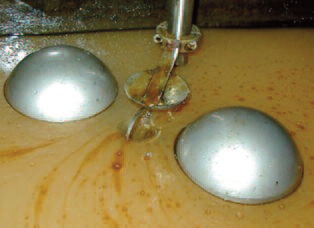 Skimmed oily fluids are pumped through the separator where floating contanimants are separated. Clean fluids return by gravity to the source tank. Inside the system there are no plastic coalescer media, filters or consumables of any kind. 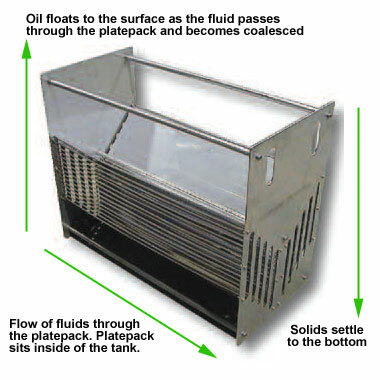 Our proprietary open channel platepack system separates and removes floating oils and solids purely by gravity. This makes maintenance fast and very simple. Open channels do not plug allowing the system to run continuously without problems. Oil that is captured inside the separator gravity drains automatically to a capture drum. This oil is typically dry enough to sell or recycle. No electrical panels or hook ups are normally necessary. The SkimLoop system is entirely pneumatic. It runs on plant air, typically requiring only 3 – 5 CFM. It truly is a plug-and-play system! The SkimLoop Oil Water Separator takes up very little floor space. The unit measures 48″ wide x 14″ deep x 24″ tall. In most instances the separator can be attached to existing parts washers or other structures. We sell an optional stand that provides for easier installation. Due to the nature of the gravity discharge, our separator needs to be installed with the outlet port above the level of the fluid that it is cleaning. The standard suction skimmer that is included with our systems requires an area of 12″ x 12″ x 18″ deep within the source tank where it will be installed. Other suction skimmers are available to deal with restricted space constrains, shallow fluid levels and large fluid level fluctuations.